If any of you are from the Austin area and have had Torchy's, you know that they make the best tacos in existence--Trailer Park Trashy? Oh. My. God. So good. Mine and anyone else's will never compare, but I'll keep trying. I personally think that you can throw anything in a tortilla and it will taste good, so I like to experiment with different ingredients. For the boy's 25th birthday last year, I made a huge taco spread with homemade carnitas, fried chicken strips, black beans, pickled onions, poblano sour cream, corn/red/green salsas and all your other typical toppings. It was a make-your-own-taco assembly line, and it was glorious. But as epically meaty as it was, it's not something I can eat on a regular basis. The one thing I wish taco joints would start offering is better vegetarian options. But alas, until that happens, whenever I'm craving a taco without meat I'll make my own. I've tried different types of vegetarian meats such as seitan "chicken" or soy "chorizo", but I find that simply using beans as the protein is the way to go. Try to taste the black beans before you start cooking. Depending on what brand you get, how salty they are to begin with can vary quite a bit. I find that some brands don't even need any additional salt and others can use anywhere between 1/4 and 1/2 tsp. After tasting, you can determine how much additional salt to use. Serves 2 generously or 3 regularly. In a large skillet, heat up 2 tsp of oil on medium-high, add corn and 1/2 tsp of salt. Cook for 4 to 6 minutes until kernels are cooked through and starting to caramelize. Let cool. 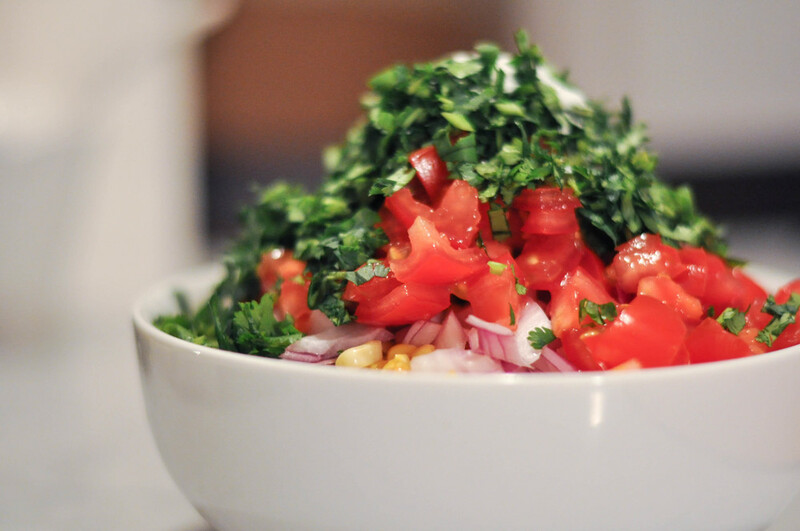 After cooled, transfer to a bowl and mix corn kernels with tomato, onion, cilantro, sugar, and lime juice. Set aside. In a skillet or saucepan, heat up another 2 tsp of oil on medium. Add shallots and cook for 2 to 3 minutes. Add black beans, cumin, salt and pepper to taste and cook for 4 minutes. Turn off heat and lightly mash up black bean mixture with the back of a spoon. To assemble: smear a small spoonful of sour cream down the middle of a tortilla. Place some black beans on top, then top with corn salsa. Add lettuce, avocado, and top with some queso fresco. 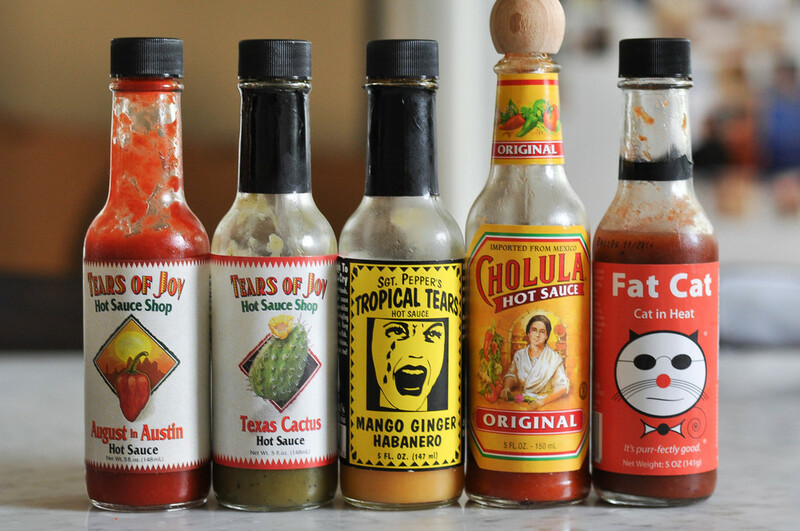 Drizzle whichever hot sauce(s) you're using on top and enjoy!